Note: Large Sliding Door is manufacturer of patented Sing products. Wholesale/Commercial inquiries only. For private/individual end-user, please contact your architect, contractor or lumber yard for more information. Use this simple form or download and fill out our advanced form. 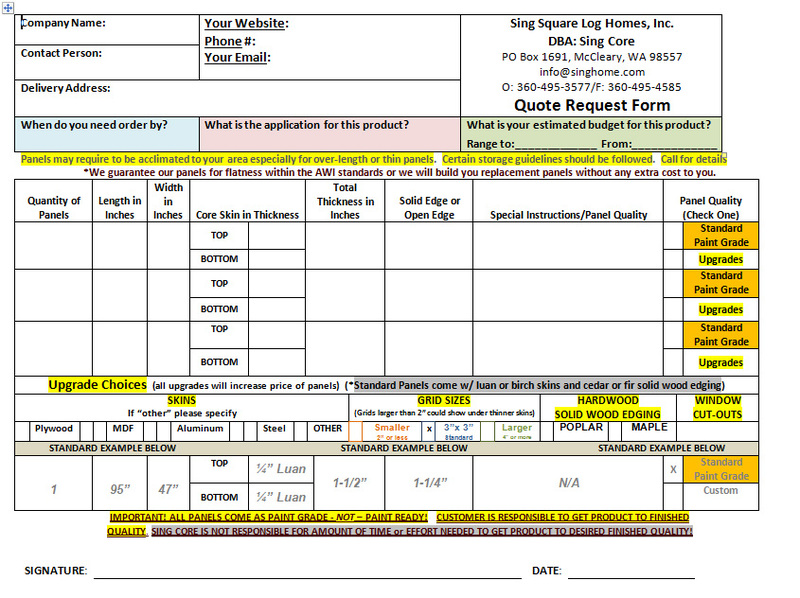 This is the Advanced Work Order form to get a price quote for large sliding doors. Download Work Order Form Click to Download Order Form. Step 1 – Fill out contact info. Step 2 – Describe your project. Step 3 – List details and descriptions of the panels you need. Step 4 – Email to admin@largeslidingdoor.com or fax to 360-495-4585. Note: Large Sliding Door is manufacturer of patented Sing large sliding doors. Wholesale/Commercial inquiries only. For private/individual end-user, please contact your architect, contractor or lumber yard for more information. We offer introductory prices for nonprofits, architects, and interior designers for personal trial use. 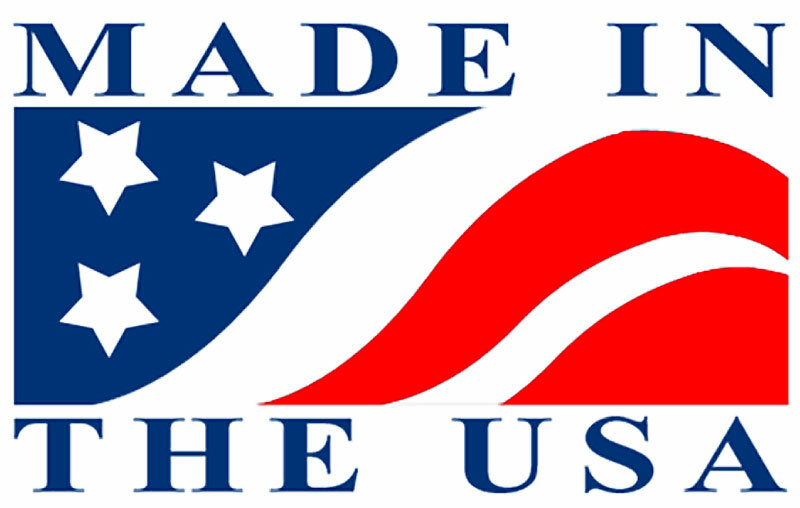 For all purchases, submit a completed order form to admin@largeslidingdoor.com or by fax: 360.495.4585. Prices vary based on dimensions, skin type and quantity. If you have a tight budget give us a call, we might have an alternative solution tailored to your needs. Because Sing Honeycomb technology is adaptable, we might be able to substitute honeycomb post and beams to achieve the same large sliding door results. We make the rice, you make the fried rice! Just choose your dimensions, thickness, and skin. The R&D and design finishing are up to you. You will also find links to designers, architects, and suppliers of: hardware, skin, finishes, windows, and panel fasteners on our links tab. Complete as much as you can, and we’ll take it from there. A non refundable 50% deposit will be required to start your order. We accept all major credit cards, check, cash and wire transfer. If you need further assistance contact us via our contact form. 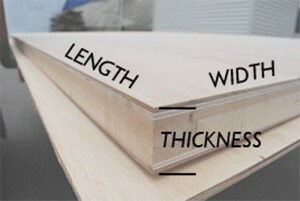 Skin materials available: Plywood, MDF, Metal (aluminum, steel), marine grade plywood, plastc, and fiberglass.